City councilmen who have filed to challenge the 2-term mayor raise red flag over $1.3 million paid to consultant over past five years. Steve Griffin | Tribune file photo South Salt Lake Mayor Cherie Wood. 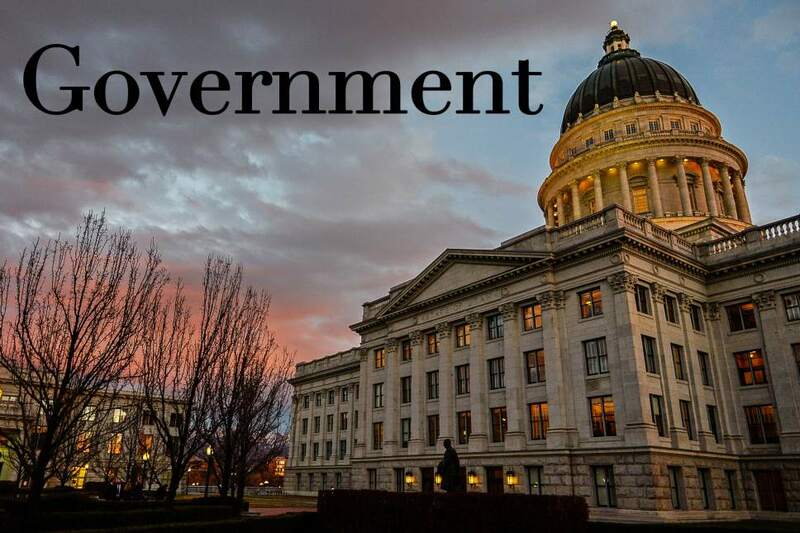 A longtime South Salt Lake contract employee has stepped down as director of Mayor Cherie Wood&apos;s political action committee after two City Council members raised concerns about a possible conflict of interest and questioned whether public funds were being diverted for campaign purposes. Kari Cutler fills a range of roles at City Hall, from running the mayor&apos;s signature Promise South Salt Lake before- and after-school outreach program to helping multiple departments with grant writing to producing the city&apos;s newsletter. She also  until recently  served as the longtime director of Wood&apos;s political action committee, The Committee to Keep South Salt Lake on the Move. Cutler and Wood praise the Promise program as nationally acclaimed for reducing crime and boosting graduation rates and they dismiss the concerns as politically motivated and lacking substance. The two councilmen raising the issue  Mark Kindred and Shane Siwik  filed last week to run for mayor against the two-term incumbent. However, the councilmen said the issues they are raising are valid and unrelated to the campaign. "I see a legitimate concern when we&apos;re paying $1.3 million dollars over five years to a company that is run by a close ally of the mayor who, up until just recently, was the head of all of [Wood&apos;s] political activities  and especially when we were told that [Cutler&apos;s] contract was only for $120,000 a year, which would be $600,000 over five years," Siwik said. The city in the most recent budget year paid about $301,000 to Social Marketing Consultants, run by Cutler and her husband, Jack Wilbur. Most of the money comes from federal funds obtained through grants. 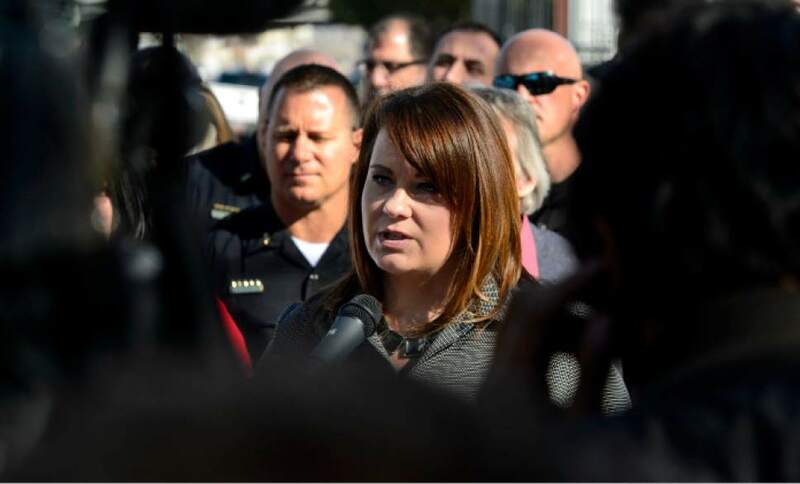 Cutler told The Salt Lake Tribune that she decided to step down from the mayor&apos;s PAC after considering the blend between her various roles within the city. "When Mark [Kindred] brought it up in City Council, it really made me think about it," she said. "Like, &apos;Oh my gosh. That&apos;s true.&apos; So then I withdrew immediately after that." The mayor gave a different explanation, saying she had planned to remove Cutler from her role in the campaign long before council members aired criticisms. After hiring an outside entity to run her campaign a few months ago, Wood said she&apos;d intended to eventually transition leadership  though she said the conversation with the council had sped up the process. "I hired a firm, and, throughout our conversations, decided it would be easier for them to handle the financials," she said. "We just hadn&apos;t finished that step of transferring her." Cutler and Wood said the questions and allegations are rooted in politics. "I do think it&apos;s interesting that these guys have just filed for mayor and suddenly now they super care about all of these things," Cutler said. "I know why now. Because now they&apos;re like, &apos;We want to stir up some controversy so we have some way to take a polar position, so we have a platform on which to stand.&apos; I frankly just think that&apos;s really sad and deplorable." Kindred said questions about his and Siwik&apos;s political motivations are "legitimate," but the councilmen noted that preparing the city budget was the catalyst behind their inquiries. Promise South Salt Lake, the after-school program Cutler runs, occupies more than six pages in the budget, and Siwik said he didn&apos;t realize the city was paying Cutler for other work until he took a closer look at the numbers. "Even if the expenses can be justified, Mayor Wood has a history of hiring family members, which we had to address last year through our anti-nepotism ordinance, and now we see this mechanism where she&apos;s paying city expenses through a company of her former political action committee chair," Siwik said. Last year, the council adopted a law that prohibits future hiring of family members of elected city officials. Wood had five relatives on city payroll at the time  two brothers, a sister-in-law and two sons in part-time jobs. Siwik said Cutler and the mayor are close allies and said their relationship fits into a larger pattern of financial "favoritism to family and friends." Siwik added, "Whether or not Kari Cutler has stepped down [from] her role in the mayor&apos;s campaigns doesn&apos;t change the fact that [some expenditures] still raise red flags to me." Kindred said he doesn&apos;t want to question the work the Promise South Salt Lake program does, but rather the way money is distributed to Social Marketing Consultants. He said he&apos;s still unclear about how the money is spent and accounted for after recently sitting down with Cutler to discuss specifics. "We&apos;ve paid [Cutler] $1.3 million [since 2012], and I just want to make sure we have a thorough accounting of where all that money has gone," Kindred said. "I don&apos;t want any city funds to be let into the mayor&apos;s re-election campaign." Wood rejected any suggestion that public funds were diverted to her campaign, calling such a notion "absolutely, 100 percent inaccurate." She said yearly auditing reports would show her campaign and the contract with Cutler to be in compliance. Cutler has worked as a city contractor and as the director of the mayor&apos;s PAC since 2012  including through Wood&apos;s 2013 election. The potential conflict in that earlier election was far smaller because Cutler&apos;s role with the city was more limited at the time, the mayor said. Cutler&apos;s growing role is also reflected in the amount paid to her company: going from a little over $174,000 in 2012 to around $301,000 last year. City documents don&apos;t entirely spell out how Social Marketing Consultants uses the funding it receives from the city, with descriptions like "project evaluation and development" and "PR/outreach." A sampling of underlying invoices provided to The Tribune through an open records request are somewhat more specific but still aggregate a variety of related activities listed in blocks of time  ranging from 30 to 96 hours  and billed at $60 per hour.